Hidden talents: Nina Brown, Maria Raffa and Eunice Taylor are all active members of the facility’s art classes and have created a Christmas themed piece of art. Photos: St Vincent’s Care Services. 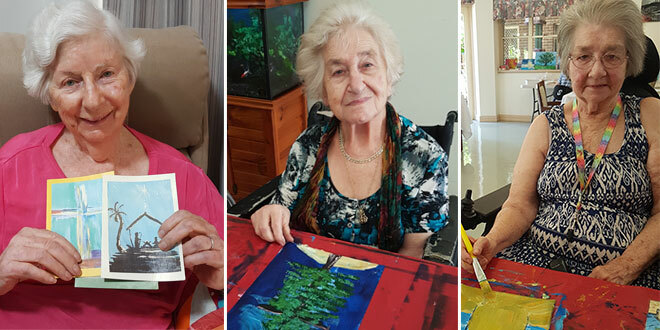 ST Vincent’s Care Services has discovered three very gifted artists in one of their residential living communities in Mitchelton, Brisbane. 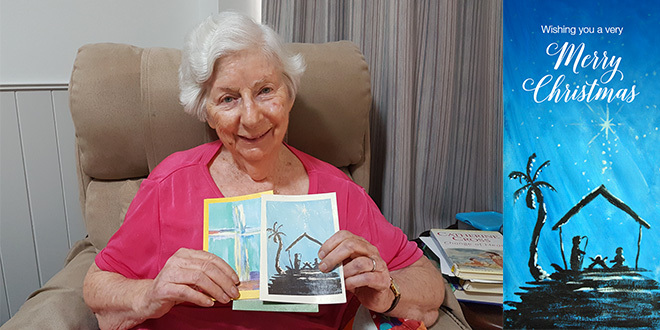 The aged care and retirement services organisation reached out to their residents to create a Christmas themed artwork to feature on the front of their annual Christmas card. 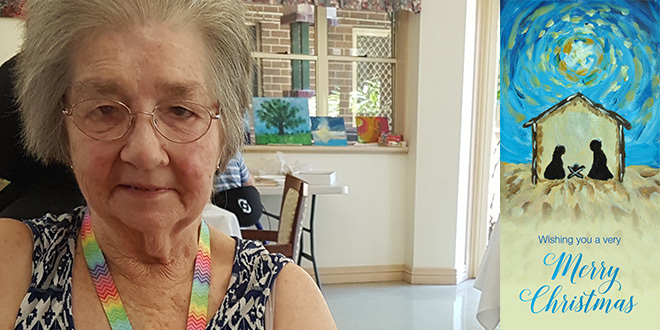 Finding it hard to choose just one, three talented residents of St Vincent’s Care Services Mitchelton were chosen. Nina Brown, Maria Raffa and Eunice Taylor are all active members of the facility’s art classes and each created a Christmas themed piece of art. 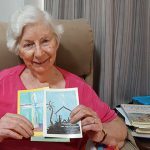 Their work was transformed into the Christmas cards you see below, including an expression from each resident of what Christmas time means to them. 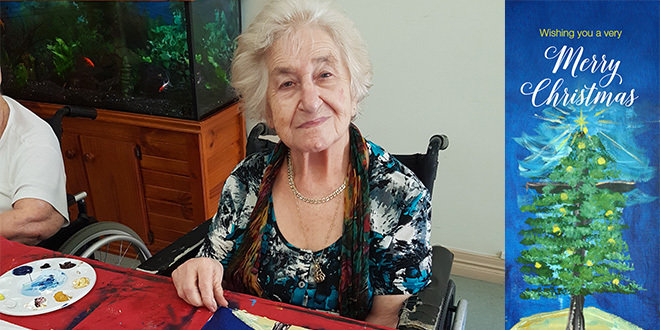 The approach is a wonderful way to celebrate St Vincent’s Care Services residents, and recognise the many talented individuals living in their communities. St Vincent’s Care Services would like to wish you a blessed Christmas and New Year and share with you the Glory, the Wonder, the Miracle of the Holy Season. Click images below to view each artist and their Christmas artwork. Holy celebrations: Christmas for Eunice is the birth of Christ and having all the family come together. Her favourite memory is of a big Christmas tree at her home with lots of presents underneath it. 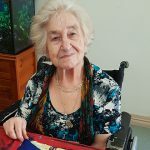 Her husband Bevan would cook a barbeque lunch and they would always celebrate with her four children and eight grandchildren. Photo: St Vincent’s Care Services. Love for life: Maria loves her family and her three boys, so Christmas for her is cooking up a very special lunch and spending it with her family. Maria said there’s always lots of laughs, lots of love and lots of food. Photo: St Vincent’s Care Services.